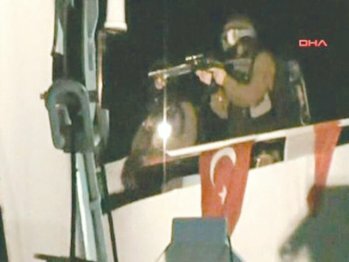 The decision this week by the ICC not to investigate the point-blank killing, by Israeli commandos, of nine unarmed Turkish passengers on board the Mavi Marmara aid vessel in 2010, although there was a ‘reasonable basis’ to believe that Israel had committed a war crime in its maritime attack upon civilians, seems indefensible. The decision not to prosecute will inevitably raise questions about the integrity and impartiality of the ICC in the face of political pressure by the global Israel lobby that already operates in Washington, London and Brussels. The reason given by the ICC chief prosecutor that the court is more concerned with larger scale incidents, ignores the fact that this attack upon civilian passengers in international waters was part of a six year campaign by the Israeli government to effect an illegal regime change in Gaza by means of a blockade of essential goods to 1.8 million Palestinian Arabs – that still continues today. This perverse decision would seem to have severely damaged the court’s credibility in any future war crimes investigation and could well signal its own demise as a claimed international body that has yet to be ratified by the U.S. (or its client state, Israel), China or India – i.e. over half the global community.